Susan L. Solomon is Founder and Chief Executive Officer of The New York Stem Cell Foundation Research Institute, the world’s leading independent non-profit research institute dedicated to translating cutting- edge stem cell research into clinical breakthroughs and cures for patients. 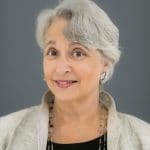 A veteran healthcare advocate, Ms. Solomon serves on the boards of a number of prominent diabetes and regenerative medicine organizations including the College Diabetes Network and the Global Alliance for IPSC Therapies. She also serves on the Board of Directors of the Regional Plan Association. Ms. Solomon has received numerous awards for her work with NYSCF, including the New York State Women of Excellence Award from the Governor of New York, the Triumph Award from the Brooke Ellison Foundation, and recognition as a Living Landmark from the New York Landmarks Conservancy. A lawyer by training and a chief executive and entrepreneur by experience, Ms. Solomon has decades of leadership experience in starting and building effective and focused organizations. Ms. Solomon started her career as an attorney at Debevoise & Plimpton, then held executive positions at MacAndrews and Forbes and APAX (formerly MMG Patricof and Co.). She was the founder and President of Sony Worldwide Networks, the Chairman and CEO of Lancit Media Productions, an Emmy award-winning television production company, and then served as the founding CEO of Sothebys.com, prior to starting her own strategic management consulting firm Solomon Partners LLC in 2000.